If you have ever wished you could wear your favorite tennis shoes to work instead of your OSHA-approved work boots, Timberland PRO has an answer to your problems. With a reputation for lightweight, phenomenally comfortable work boots and shoes, the Timberland PRO S ... (see full details) (see specifications) #TB0A1B6U001. If you have ever wished you could wear your favorite tennis shoes to work instead of your OSHA-approved work boots, Timberland PRO has an answer to your problems. With a reputation for lightweight, phenomenally comfortable work boots and shoes, the Timberland PRO Series has quickly become a top pick for workers. Anti-fatigue technology, light alloy safety toe caps, and a built-to-last sole make these Timberland PRO Men’s TB0A1B6U 001 Powertrain Sport Black Alloy Toe ESD Athletic Work Shoes the ideal pair for you. With every step, you'll enjoy the sturdy support and shock absorbing comfort of your new favorite work shoes. The unique Timberland PRO polyurethane outsoles use BASF super lightweight PU and molded inverted cone anti-fatigue technology in these slip- and abrasion- resistant, static-dissipative outsoles. You'll love the low-density feel with plenty of flexible and traction to keep you moving. These conductive polyurethane outsoles for consistent static-dissipative performance are made specifically to keep you safe in certain work environments (but certain doesn’t hurt to have even if your job does not require ESD shoes). Lightweight, alloy toe caps protect your toes from workplace hazards and keep you compliant with workplace regulations without weighing you down like steel does. These alloy safety toes are made on the TiTAN last for plenty of toe space and a comfortable, consistent shape every time. These Powertrain Sport athletic shoes are made from premium Ripstop nylon with an abrasion-resistant screen print. Ripstop nylon has recently taken the workwear industry by storm, thanks to breakthrough technology that allows the nylon material to be woven in a Ripstop pattern that does exactly that - any unfortunate tears, snags, or rips will resist spreading, if they even manage to puncture this durable material. This enhances the lifetime of these men’s safety toe athletic shoes and keeps them lighter in weight than leather. The lace-up design and overall flexibility of the Timberland PRO men's shoes will have your feet mistaking these for your favorite tennis shoes back at home. Inside, these Powertrain ESD shoes are made for comfort. Starting with the breathable mesh linings that promote air flow around your feet, you'll enjoy less sweat build up and a fresh feeling all day as you work. These linings are also treated with anti-microbial treatment for the added benefit of odor control, for healthier feet and a happier nose. Underfoot, the Timberland PRO insoles support your feet right where you need it and act as a layer of shock protection to reduce foot stress. Working in tandem with the polyurethane foam midsoles, your feet will feel less shock with each step and less pressure while standing, reducing the amount of stress they are subjected to during the day and increasing your stamina all day long. The non-metallic shanks are flexible and supportive to help stabilize your steps and protect your feet. When it's time for new safety toe work shoes, you don’t have to choose between safety or comfort, or comfort and support; you get all of this and more with any Timberland PRO Series work boots or shoes. When you need ESD, lightweight, athletic style work shoes, you need these Timberland PRO Men’s TB0A1B6U 001 Powertrain Sport Black Alloy Toe ESD Athletic Work Shoes from Working Person's Store. So comfortable and light, it will be easy to forget you aren’t wearing your favorite leisure shoes at work. 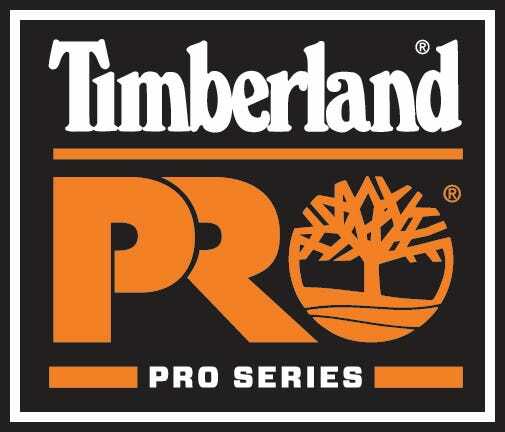 Enjoy the support and stability of these safety toe shoes when you choose Timberland PRO Powertrain athletic footwear. This work shoe looks good and feels great! If you like the look of this shoe, I really don't think you will be disappointed wit the feel. It is very light weights which doesn't tire my feet. I do wish that it came with the Timberland PRO Antifatige insole though. I also like the the upper sole breathes a little! I highly recommend this show to for tech's working in clean environments. This shoe looks good and feels good. It fits well like most Timberlands I have ordered. I wish it came with the Timberland PRO Anti fatigue insole though. The shoe is also very light weight. If you like what it looks like, I don't think you'll be disappointed it what if feels like! I also like the fact that the outer material breathes well. In highly recommend this shoe for techs working in clean work environments. Best safety sports shoe I've ever owned. This shoe seems to be more tougher Timberland's' recent ESD shoes. I've kicked a couple of cement/metal corners and the shoe barely shows any signs of damage. They are super light weight and feels like nothing is on my feet at all! Every down step has the second best cushioning I've ever felt. The insoles that come with this shoe are extremely impressive! The only better insole I've felt would be the Timberland 91621 Anti-Fatigue OrthoLite Orange/Black Boot Insoles. I assume that the 91621's don't meet the SD+ requirements. The 91621's also have a little better arch support; which I need. Never-the-less, the Powertrain Sports are a huge win when it comes to comfort & protection!! Highly recommended. Timberland PRO Shoes: Men's TB0A1B6U 001 Alloy Toe ESD Powertrain Sport Black Athletic Work Shoes is being added to your cart.